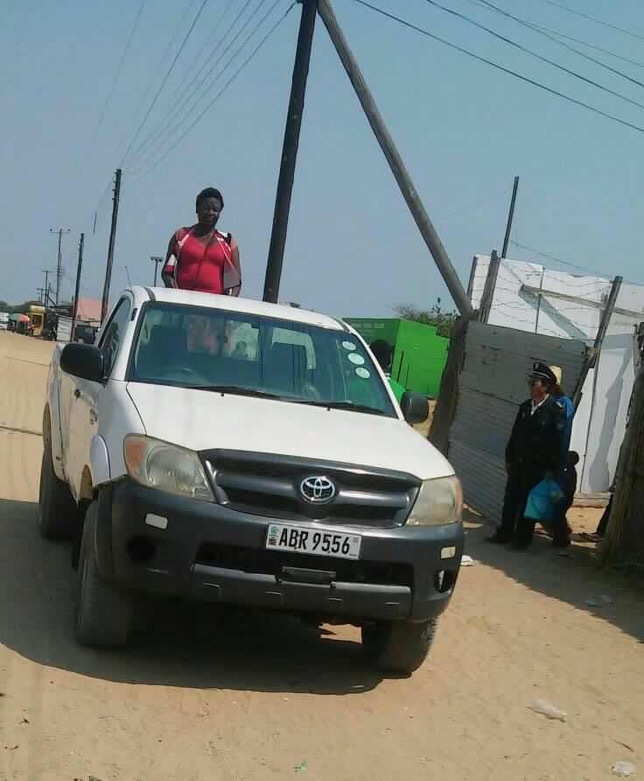 On the right is a Chinese police officer in lukulu district of western province. The chinese works for china jianx company constructing a boarding school in ngimbu ward. The chinese wears that police uniform whenever on duty. The vehicle packed is for the chinese at their base or office at new market area near kapaku guest house.